Add a PIC Microprocessor pre-loaded with our firmware. 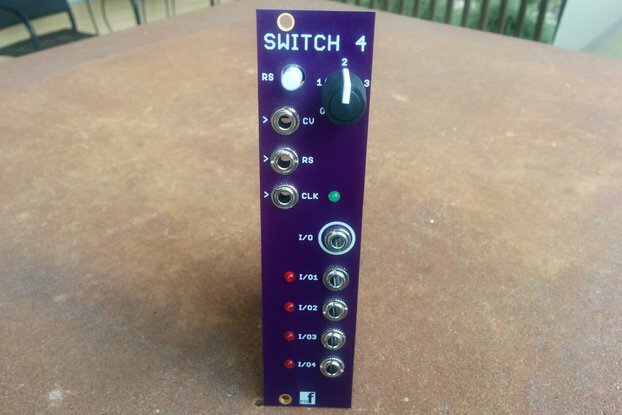 Add an 8HP Eurorack front panel. and directly play your analog modular synthesizer. Polyphonic and monophonic operation. 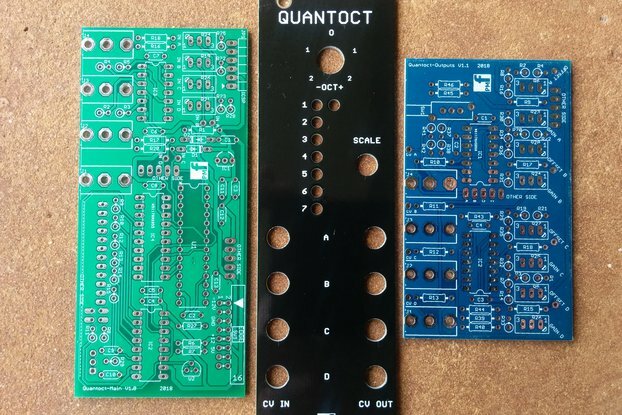 Build it yourself - FOR EXPERIENCED SOLDERERS ONLY - This is a set of 2 high quality PCBs and an optional front panel ONLY for users who want to purchase their own components and build their own module. Some product photos above show COMPLETED build. 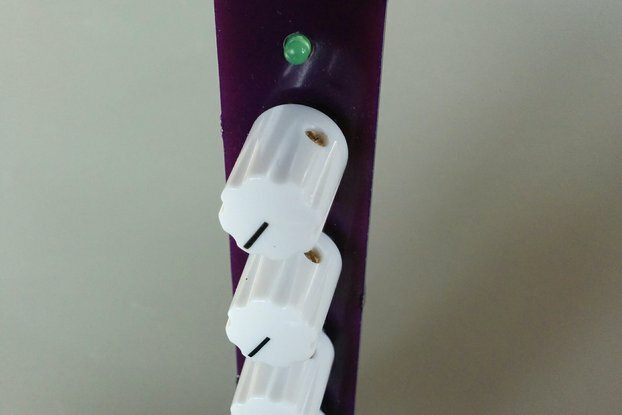 You can add a pre-programmed PIC microprocessor to the order if you do not have the facilities to do this yourself. 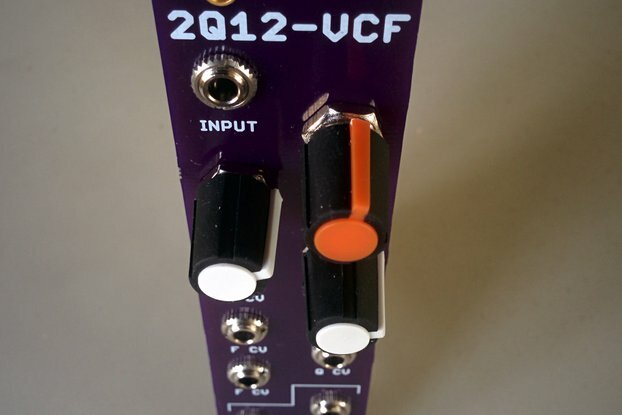 The module (when using our front panel) is Eurorack size and only 8HP wide leaving room in your rack for other modules. 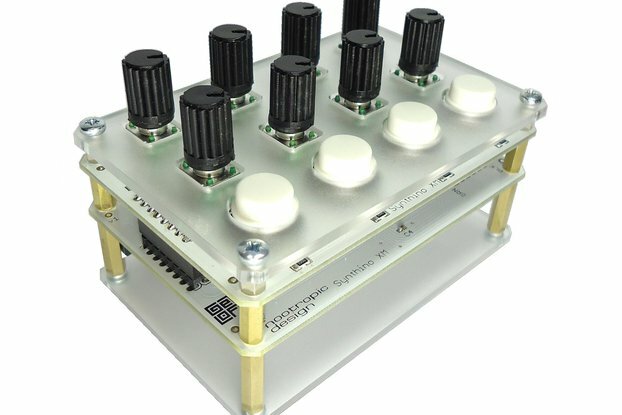 With the PCBs only, you can wire any pots and jacks to your own front panel or standalone case. If you are a composer, create your own MIDI sequences, backing tracks or songs using your favorite MIDI-USB keyboard. 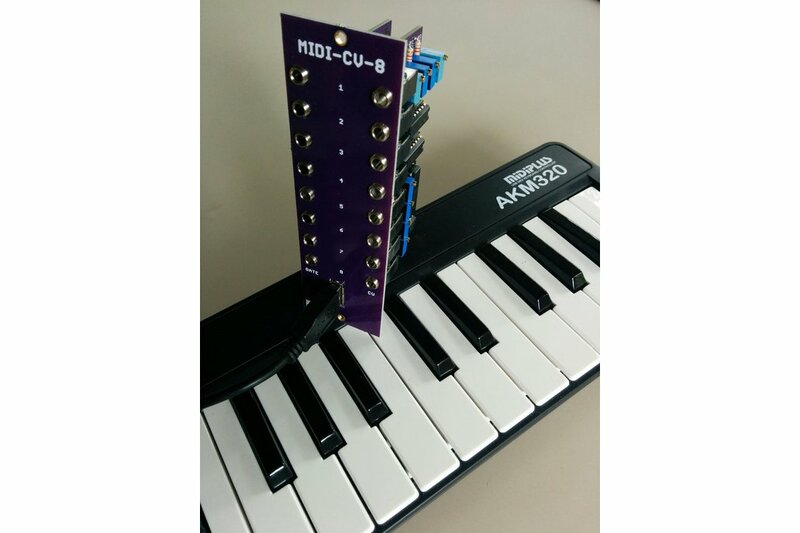 The module uses a PIC 24 bit microprocessor to convert the midi messages from the keybaord into digital codes which are then converted into gate and control voltages for 8 voices with precision DACs. These are buffered with precision op amps providing precise tracking over three octaves and to within 0.01V over 5 octaves. The following MIDI-USB Keyboards are supported, others may work also. Comprehensive documentation, parts lists and firmware are provided in the documentation link for building, testing and using the module. Hold down the SHIFT key and turn ENCODER 1 counter clockwise a couple of rotations in order to set the master volume to 0. Once the master volume is set to zero, press the OCT (-) button 5 times and then Midi-CV-8 will be in command mode. 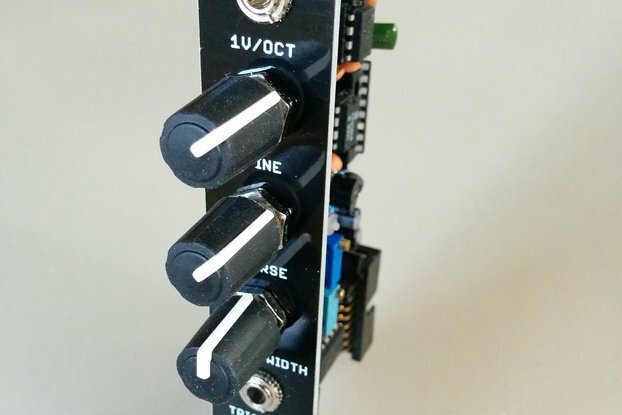 This is a well designed midi to control voltage unit. 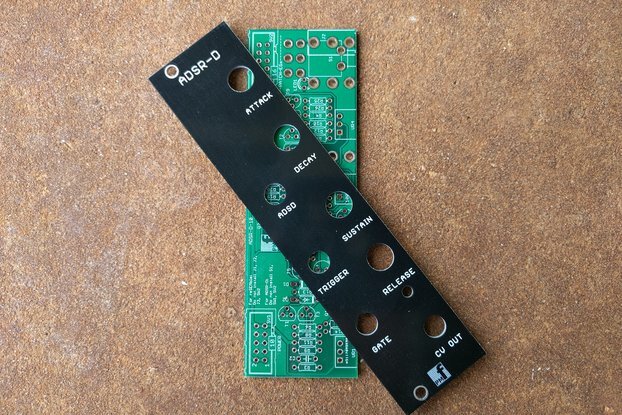 The build isn't overly complicated, but requires some patience to get the boards and jacks aligned properly so that they fit into the face plate. Once assembled mine worked. I don't have one of the recommended keyboards, but it seems to work with my minibrute - I haven't tried switching modes yet, which requires a midi source that sends volume out. 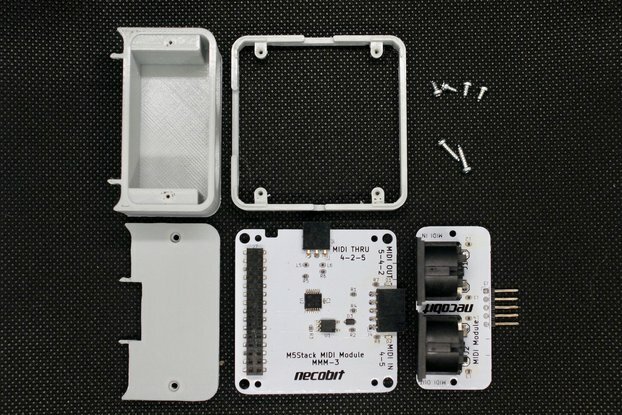 My mouser order was about $95 before shipping, so this module represents a fantastic value for a midi-cv interface - the befaco kit is about the same amount, but you get twice the number of cv and gates with the pmfoundations module. Thanks for sharing your experience Philip. 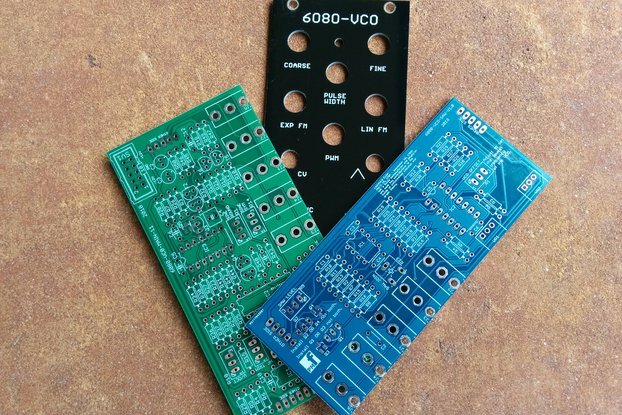 It is not the easiest build and I am glad to hear that you battled through the intricacies to get a nice 8 channel polyphonic keyboard controller. If you want to try out the mode switching/programming side of it with the Arturia MiniBrute, please email me at jnfrench@pmfoundations.com. I have some ideas for you.